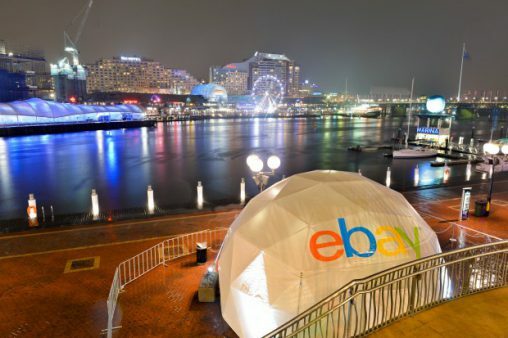 eBay’s two-day pop-up Innovation Lab at Sydney’s Darling Harbour this weekend will aim to capture participants’ reactions to new technology such as holograms, robots, virtual reality and 3D printing. This will be tracked via gaze monitoring, dwell time and mobile questionnaires. According to eBay senior director of marketing and retail innovation Steve Brennan, the data will be analysed to predict rates of adoption across Australia, determining what will and won’t be welcomed into our homes in the future. “eBay turned 20 this year, and we know better than most how quickly the pace of change and innovation is increasing,” said Steve Brennen, eBay senior director of marketing and retail innovation. “When we started at eBay there was no such thing as a smart phone, but just last year more than $28 billion worth of goods were sold via mobile on eBay globally. Emerging technologies open us up to new worlds of inspiration and experience, and the eBay Innovation Lab is a great opportunity to experience the future first hand,” Brennan said. The data collected from the eBay Innovation Lab will be analysed by futurist Chris Riddell. “We will be measuring what people think and feel around the technology earmarked to enter Australians’ lives in the coming years in order to provide insights and analysis into what Australians can really expect from the future,” Riddell said.